Archive by Category "Residential HVAC"
It’s that time of year when heating system maintenance and repairs should be at the top of your to-do list. 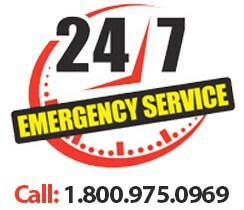 No one wants to wake up shivering in the morning, discovering that they need to make that emergency call. If it’s been a while since you’ve had your heating system checked, it’s high time you called Green Heating, Cooling, & Electric, HVAC repair serving Greater Philadelphia. Don’t put it off because you’re concerned about expenses because we’ve found several ways we can actually save you money. 1. You avoid DIY disasters. The number one thing homeowners who don’t want to spend on maintenance and repairs resort to is the DIY approach. However, this is even more dangerous than avoiding maintenance and repair altogether. Avoid paying to have your mistakes fixed by getting it done right the first time. 2. You can make systems run much more efficiently. The fact is, efficient systems lead to lower energy bills. And no one is more qualified to optimize your heating system than the HVAC professionals at Green. There are many small factors involved with an HVAC system that can add up to big monthly savings for you. That means our service can pay for itself this winter! 3. You can extend the life of your system. The greatest expense of all would be replacing your entire HVAC system. This is hardly something we want to be forced to do in an emergency. To get around this, call Green, experts in HVAC repair serving Greater Philadelphia. We perform regular maintenance checks that can extend the life of your system for years, saving you thousands on an emergency replacement. 4. You can get perks from HVAC repair serving Greater Philadelphia. When you find an HVAC company you can trust, you can get valuable discounts and loyalty rewards for sticking with them. 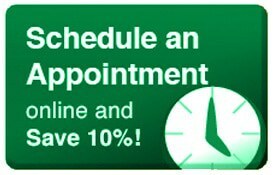 For example, at Green Heating, Cooling, & Electric, we offer an automatic 10% discount for scheduling your next appointment online. We even offer financing to qualified customers. 5. You might not need to clean your system as often. Is cleaning your HVAC system part of your regular cleaning routine. For many homeowners, it isn’t, and this can end up costing you. However, we rarely recommend tacking this task yourself if you aren’t experienced in doing so. Schedule a cleaning and tune-up with Green, and your HVAC system won’t have to work as hard to keep you warm or cool. This saves you time, as well as money resulting from the repair of a dirty, overtaxed system. 6. You choose the right company for your HVAC needs. It’s a sad truth that not every company prioritizes competitive pricing. But at Green, we do everything we can to make our services accessible to the average person. With hundreds of five-star reviews, it’s plain to see that we don’t just deliver results; we make sure all aspects of our service are worth every penny. Don’t let your own home leave you in the cold. 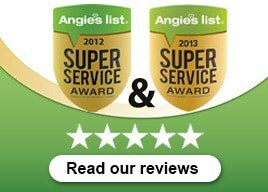 Contact today for great savings and even better service with Green Heating, Cooling, & Electric. A strange sound or stale-smelling air could be a message from your HVAC equipment that it needs maintenance. Also, the inefficiency could be running your utility bills up. These signs indicate that your HVAC system requires maintenance. Does your HVAC sound like it usually does? Does it make a grinding or squealing sound? A normal HVAC system will make a dull humming during operation. Strange sounds such as banging or a rapid clicking coming from your HVAC system are noises you don’t and probably can’t ignore. Consulting an HVAC expert to determine the problem before a more serious issue arises. Does the air in your home smell of freshness? It should. If it smells stale or dusty and you’re constantly adjusting your thermostat with not much change in your home’s indoor air quality? The stale air may be an indicator that your HVAC system is not operating optimally. If your AC is blowing warm air and your heating system cooler air you may have an issue with your systems thermostat or components of the system. Placing a call to one of our HVAC technicians can help you discover the source of the issue and offer options and prices for repairs. Is your utility bill continuing to go up and up? You think, “has it really been that hot?” If your bill isn’t matching with the weather patterns outside it may be a sign that your HVAC system is not operating efficiently. 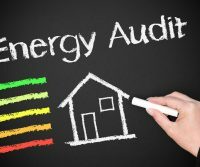 If an HVAC system is not properly maintained it can require significantly more energy which leads to higher utility bills. An expert HVAC service like Green HVAC will help you solve your home’s air quality issues. Your HVAC system, otherwise known as Heating, Ventilation, and Air Conditioning makes up a large part of your utility system, so their maintenance and repair are crucial to your household. More important than the maintenance is the timing. Scheduling your maintenance regularly is a great preventative method for keeping your system in good shape. One of the best ways to ensure that you are taking the best precaution is to maintain the part of your HVAC system you’re using in the season you need it most. For example, your air conditioning system needs consistent maintenance and repair checks in the summer because that is when you demand the most of it. These regular checks will not only ensure you stay reliably cool throughout the hot weather, it will also prevent breakdowns or systemic problems. Cleaning or replacing air filters: As you A/C unit keeps you cool, it filters air from outside, into your house, cooling it on it’s way to you. Keeping dust, dirt and debris out is also a primary function – that’s the purpose of the air filter. Overtime, as it collects dust, it begins to pile up, and after a certain point, becomes ineffective, either allowing dirt in, or reducing or completely stopping your air flow altogether. Clearing debris and removing blockages: When your technician finds any blockages, they are likely to be in the ventilation system. Little pieces of dirt and other obstructions can build up over time in your vents causing a blockage which can also affect air flow. Whether you live in Philadelphia or New Jersey, it’s important that you choose a HVAC technician that is certified, trained, and knows how best to ensure you and your family’s safety and comfort all-year round. Whether you live in a sunshine state or a winter wonderland makes little difference, as the average homeowner is going to make it a priority to cut down their energy costs. More often than not, homeowners realize that the root of their exaggerated energy bills has everything to do with their heating, air conditioning, and ventilation appliances. 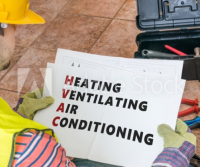 In order to rectify these issues, many will seek to either replace their HVAC systems as a whole, or have due maintenance provided to them in New Jersey. By hiring a reliable HVAC company in Pennsylvania, homeowners can begin to significantly reduce the amount of money they spend on energy on a monthly basis. This can result in large yearly savings, which means more peace of mind. Your pet gives you and your family a lot of joy and happiness. 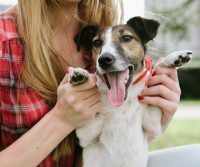 Whether it is watching your cat prowl around the home like a lion, or playing ball with your dog, your pet can be a frequent bright spot in your life. Of course, though, a pet comes with added responsibility. One area that is often overlooked by pet owners is the strain all of that fur might put on a heating and air conditioning unit. The good news is that there are simple things you can do to keep your HVAC in Philadelphia in tip-top shape. Furry animals definitely cause your HVAC unit to run a little harder. With the help of a qualified HVAC technician some routine maintenance will go a long way toward keeping your house clean. 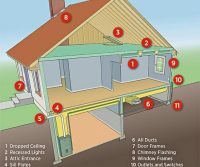 Get your ducts inspected on a yearly or semi-annual basis. A technician can determine if cleaning is warranted. A thorough cleaning of the ducts will help the HVAC unit work better and provide fresher air to your home. These three simple, yet effective measures can help maintain your HVAC in Philadelphia. 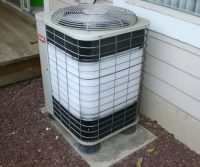 There are also a number of things you can do yourself to make things easier on your heating and cooling unit. For starters, keeping a clean home will reduce the amount of fur that will go into your ducts and filters. Keeping your pet clean with frequent baths and brushings will likewise limit the amount of fur in the air. You can also replace your filters on a regular basis; this will make your unit work more efficiently and reduce energy usage. Finally, you can turn the thermostat down in the winter and up in the summer when only the pets are at home. Working these methods into your routine will have multiple benefits. It will strengthen your HVAC in Philadelphia and will keep your home clean and fresh. Staying cool during intense summer heatwaves in Philadelphia can be difficult. However, when you think about running your HVAC in Philadelphia, you may want to consider alternate methods of cooling your home. The most obvious reason to avoid running your HVAC system is the cost. Relying solely on your air conditioning unit to cool your home can easily double the price of your power bill. A second reason is that conserving energy is better for the environment. By not running your HVAC in Philadelphia, you can help protect the environment by conserving that extra energy. 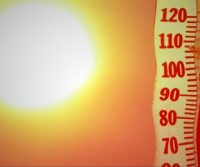 There are many ways to deal with the summer heat that may help you keep your power bill low and conserve energy. To avoid running your air conditioner constantly, try some of the ideas listed below. Avoid wearing layers of clothing. Choose single-layer outfits made of loose-knit fabrics. Take quick, cold showers or jump in the pool. Cold water can keep you cool until it evaporates from your skin. Use a fan to circulate air. Many times, even the circulation of hot air can make you feel cooler than sitting in non-circulating air. This is especially true during more humid days of the summer. Keep your house cooler by closing curtains and blinds during the hottest parts of the day. If you are still unable to find relief from the heat, then you may need to rely on your HVAC. Running your air conditioner for short periods of time to make the house comfortable may be more cost efficient than running the unit all day. You can consider running it just during times that matter to you, such as while you sleep. Finding alternate ways to cool off during the summer can have a great impact on how much money you shell out each month. 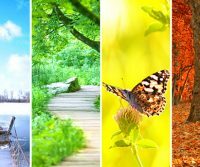 By not running your HVAC in Philadelphia frequently, you can both cut costs and help the environment. Summer is almost here so thoughts of summer vacation, swimming, family barbecues and pool parties have a lot of people excited. To make sure your home is ready to keep you cool and comfortable, the biggest factor to think about is your home’s air conditioning. Just as you winterize your home to protect against the cold, it’s important to “summer-ize” it to protect against the heat. For “summer-izing” HVAC in Philadelphia, now is the perfect time to make sure your unit is ready for the heat and humidity that’s right around the corner. A simple first step that you should take is to change the air filter. The reason for this is simple: If the filter is clogged with dust, your system will have to work much harder to pull the air through it. That will make your energy bills go up and cause unnecessary wear on your unit over long periods time. After you’ve done that, turn your system on and let it run for a bit. Listen to be sure the unit powers on the way it should and check that the air coming from the vents is blowing cool. 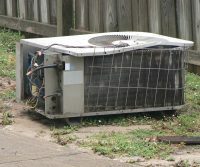 Finally, experts in HVAC in Philadelphia recommend at least two feet of clearance around outdoor units, so remember to keep yours clear of growth. The idea of calling for help from an expert in HVAC in Philadelphia may seem costly or only necessary for repairs. The reality is that having regular maintenance done by a professional can double the life of your unit. The services they offer include refrigerant checks, full inspections of fan motor and blades, drain systems, coils, condenser units and electrical components. Like your vehicle, these regular tune-ups and fluid checks prevent mechanical issues and keep it running well for years. Don’t underestimate the toll of summer on an HVAC system, get yours taken care of today and enjoy the rest of summer! When you want to warm up the inside of your house, you want that air staying put. You do not want it escaping through various leaks and cracks. 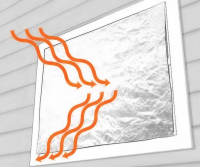 Home air leaks are a common reason for why houses are not as energy efficient as they could be. 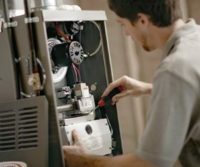 While you should hire a professional in HVAC in Philadelphia to perform any repairs, there are ways you can test your home’s sealing qualities to see if work needs to be done. With a lighted incense stick, you can determine on your own where cracks and leaks are located. Once you light the stick, smoke will be emitted from the tip. Take that stick to various locations around your house, especially door frames and windows. The smoke should simply rise upward, but if it starts to blow sideways, then you have a draft letting air go outside. Write down the areas that are letting air pass through, so you can tell a professional about those spots. To know for a fact where the problem areas are, you may want to hire a professional to perform a routine inspection. A skilled contractor will look for more than just drafts. Experts will also examine the insulation you have in your home. The attic, in particular, is a space that often gets neglected, but if it does not have sufficient insulation, then a lot of air can escape through there. After the examination, the professional will then tell you the best course of action, which could be adding insulation, weather stripping window and doors or closing gaps present in the chimney. Home air leaks could end up costing you severely if you do not get them fixed promptly. Speak with someone proficient with HVAC in Philadelphia to review your options. Soon you will feel a lot more comfortable inside your home.